Our Lovesac Alternative Is Easier On The Wallet. Is the fombag a Lovesac knockoff? 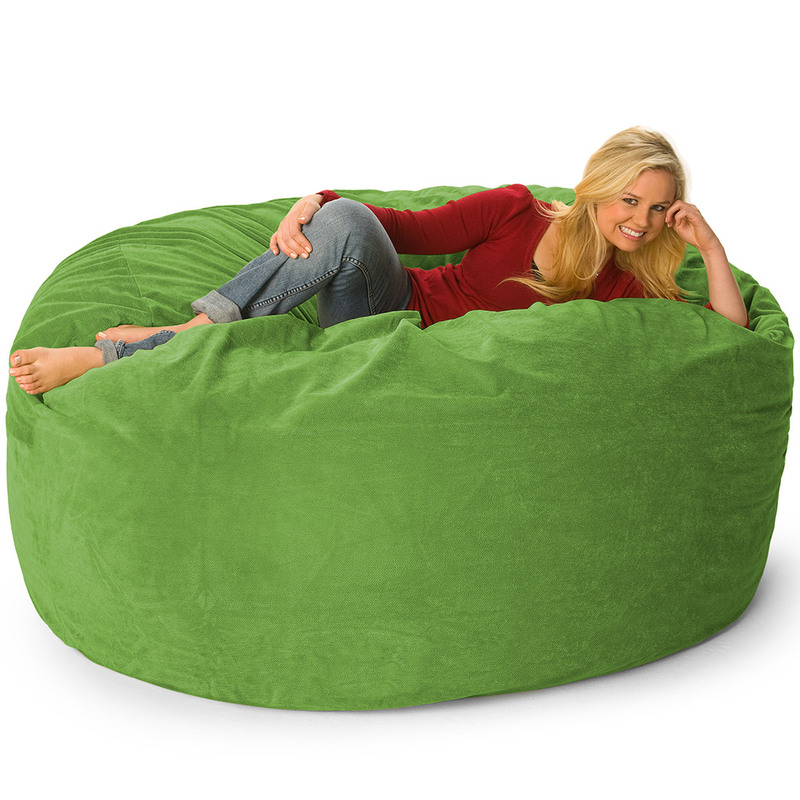 Or is it more like the Lovesac is a knockoff of the 70's hippy foam bag? Either way, they make a great product, and so do we - only ours is easier on the wallet. We know you'll love the fombag, Love Sack knockoff or not, it's definitely lovable. Most orders ship out in between 1 and 4 business days. Once your order ships via Fedex, transit time is about 1-4 business days. So you could receive your order any where from 2 to 8 business days depending on when your order ships and where you live. Contact us if you need your order by a certain date, and we'll do our best to accommodate your request. Can I remove and wash the cover? What is a liner? Yes. All bags come with a liner. A liner is an inner cover that holds the foam, and the cover fits around it. Covers can be easily removed and machine washed. Sure! Use our sample ordering page to get up to 5 fabric samples sent out free. The colors of the images on our website look slightly different on every computer, and you may want to see if a certain material will look good in your room. What is the Fombag warranty? Three Years! Our Fombags are highest quality on the market and simply will not fail or break with normal use. If you have any type of problem due to a manufacturing defect within 3 years, we'll replace or fix the problem quickly. The customer is responsible for the return shipping, but Fombag will pay to ship the repaired or replaced item back to you. Fact is, we just almost never have any warranty problems! Read our comparison page for more info on why our bags are so durable. Why are your fombags priced so low if they are really high quality? Fombags were made for the smart Internet shopper. We have a low overhead and therefore can sell a very highy quality product at a great price to benefit our customers. We're not in any malls with expensive rent, and so we're passing on the savings to you! Our Money Back Guarantee is that you can return your fombag within 30 days for a full refund. Most of our competitors will charge a beefy restocking fee (up to 20%) if they accept returns at all. That's how confident we are that you'll love our product. Customer is responsible for return shipping arrangements and cost. Do you ship outside of the lower 48 US States? We will ship to your location, but there will be extra shipping charges outside of the lower 48 states. These are big heavy packages that can be expensive to ship, but they sure are worth it! If you are in Alaska, Hawaii, Canada, or another country, Contact Us for a shipping quote. Make sure to tell us your zipcode/postal code and the size of bag you want.